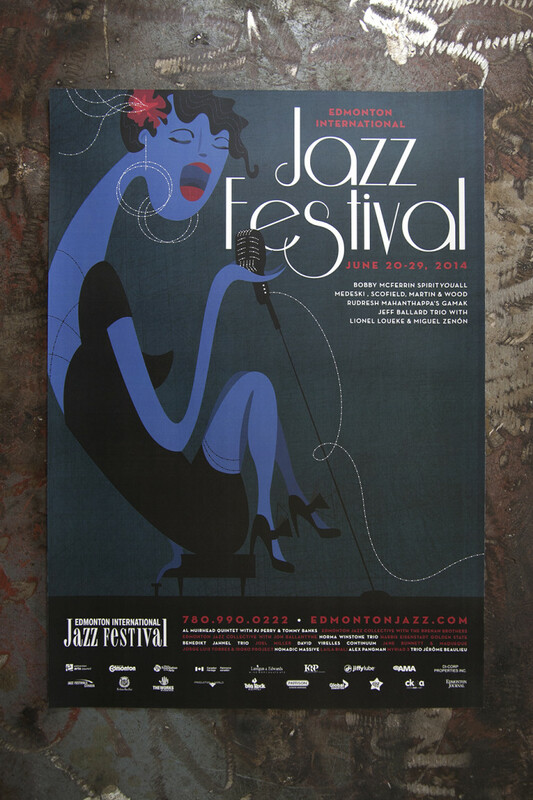 I made this illustration for Edmonton International Jazz Fest. I have alllllways wanted to work with them as a client, so this is just really dreamy. Pretty blue girl is on posters, programs, bus ads, outdoor billboard, etc. 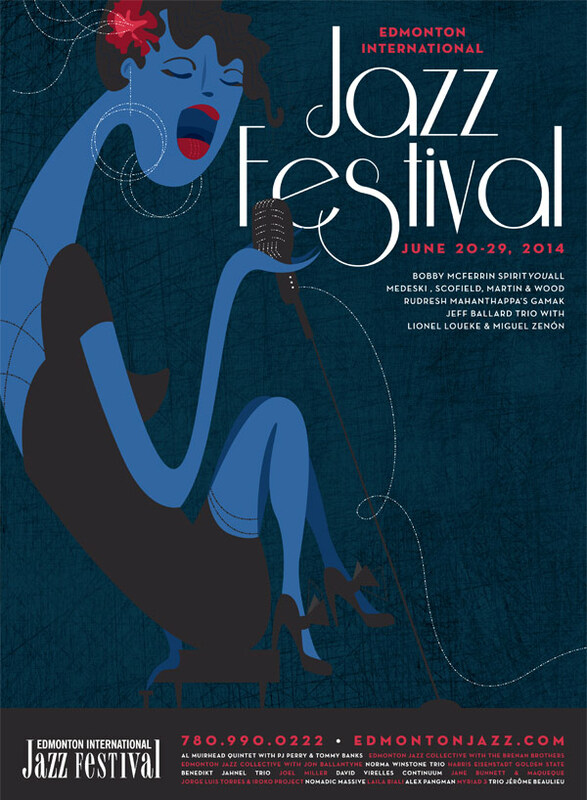 😀 Check out the programming they have on the website, its running all throughout this weekend.